There are 4 sets of Japanese characters, namely hiragana, katakana, kanji and romaji. Hiragana and katakana are also known as the Japanese alphabet or kana. 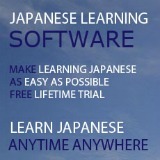 My suggestion is to learn the character set in the sequence of hiragana, katakana and kanji. I don't consider romaji in the learning sequence because romaji is just to help you in the pronunciation of the characters. 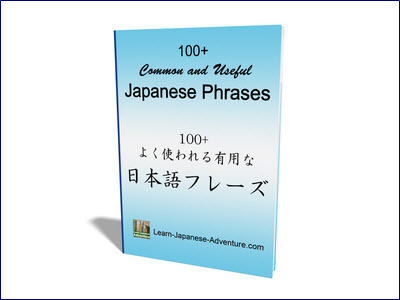 You will probably able to master hiragana and katakana pretty fast as there only 46 basic characters each. However, you will need to spend more time memorizing kanji as there are quite some numbers of them. And they are all different characters. When I first started on my Japanese lessons, Japanese hiragana was the first Japanese character set taught by my teacher. It is like the 'abc' in the English alphabet, which helps us in Japanese pronunciation. Check out the hiragana chart for all the hiragana characters. わたし (wa ta shi) which means "I"
あなた (a na ta) which means "You"
Japanese katakana are mainly used for expressing loanwords (words "loaned" from foreign languages) and foreign names, though nowadays young people in Japanese like to use katakana more often for normal word expression. Check out the katakana chart for all the katakana characters. アメリカ (a me ri ka) which means "America"
カナダ (ka na da) which means "Canada"
レストラン (re su to ran) which means "Restaurant"
Kanji characters are basically Chinese characters, and some of them were slightly modified. Japanese have also created their own kanji characters. 日本語 (ni hon go) which means "Japanese language"
簡単 (kan tan) which means "Simple"
Romaji are roman letters, normally used to help foreign Japanese learners in the pronunciation. My Japanese teacher used them to help us to pronounce the Japanese words correctly in the first few lessons. However, she stopped using them when we got familiarized with the hiragana. Most of the time Japanese articles are written in a combination of hiragana, katakana and kanji, it would seem like it is useless to learn romaji. However, for foreigners who don't know Japanese, romaji can help to give correct pronunciation. For example when singing a Japanese song in the Karaoke, you can sing with the romaji lyrics if you can't read the other characters. Besides, when I am using the Japanese electronic dictionary or typing Japanese words in computer, I use romaji to input the Japanese characters. Therefore if you know romaji, it will definitely help when keying characters in those devices. 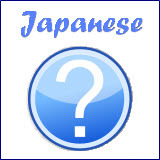 Did you see the roman letters I used besides the examples of hiragana, katakana and kanji? Those are actually the romaji. All these 4 sets of characters formed the basis of the Japanese characters. Most foreigners can master hiragana, katakana and romaji quite easily, but have difficulties in kanji, probably due to their complexities. Especially foreigners from the western countries, where their mother tongues are based on Latin characters and have no background in Chinese characters. While it may be true that those with Chinese background can learn kanji much faster, they can also make many mistakes based on the assumption that kanji are the same as the Chinese characters. The westerners, without the Chinese background, can learn kanji in the 'purest' or correct way, because they have no interference from the Chinese character's assumption. In this way, after putting much hard work, they can master kanji in the most accurate way. I have seen many westerners writing very good kanji in the Japanese television shows.